The South First seafood-focused spot is getting a lot of attention for its fresh and creative cuisine, but its cocktail program should not be overlooked. 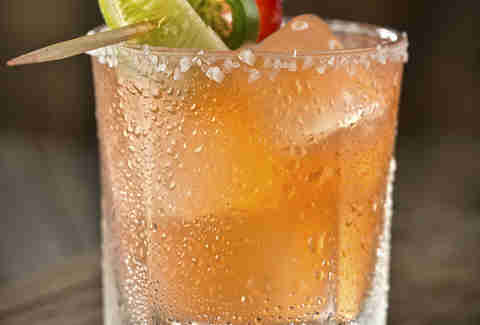 Its Don Carlos margarita is a classic, and definitely not boring, example of a perfect margarita. 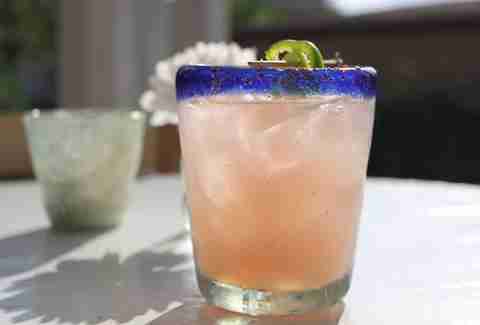 It’s a blend of Don Julio Blanco, Cointreau, fresh lime juice, and a Bolivian pink salt rim. Bust out your sunnies and grab a seat on Takoba’s patio. Order its Mango Habanero Margarita (El Jimador Reposado, Patrón Citronge, fresh mango, habanero syrup, lime juice), its fruit-meets-spicy kick is jussst right. 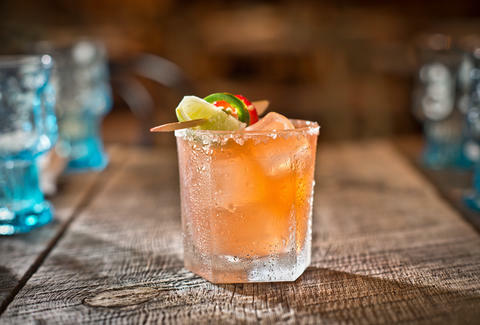 The little casita on East Sixth known for its legit interior Mexican food has a pink and powerful margarita made with watermelon-infused Espolón tequila, lime, Combier (orange liqueur), and a spicy chili rim. Pro tip: these are only $5 during the 4-7pm happy hour. 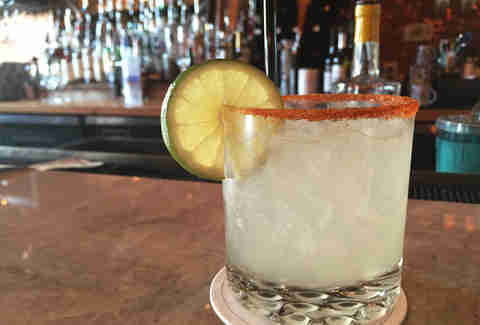 A see-and-be-seen hotspot, La Condesa serves up a perfectly balanced margarita made with El Jimador Silver, Patrón Citrónge, lime juice, agave nectar, and a super-fun cactus lemongrass-infused salt rim. While all of its cocteles are as tasty as they are boozy -- we particularly like the La Tuna. It’s a dark pink frozen margarita infused with tequila-marinated prickly pear. It's fit for even the most professional of Sunday Funday-ers. The recently revamped Taco Flats has a serious cocktail program thanks to the always inventive Justin Mork (also of East Side Showroom). We love its Oaxacan Wipeout, a modern twist on the traditional margarita: mezcal, pineapple juice, cinnamon habanero syrup, absinthe, and hand-squeezed lime juice. 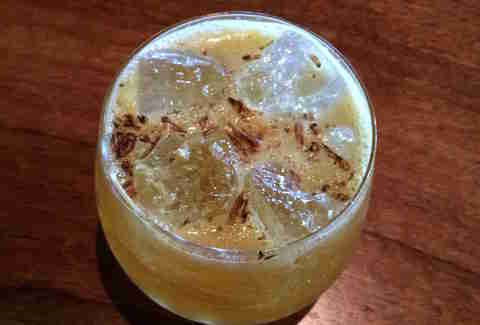 "Austin’s Southern House" does a twist on the margarita using a Louisiana favorite to mix things up (Abita). The Abita-Rita uses Avion Silver, Grand Marnier, lime, orange, and Abita Amber. Enjoy a twist on the classic margarita at celebrity chef Brian Malarkey’s (Top Chef: Miami finalist and co-host of The Taste) Searsucker with the Jale Berry. The drink features house-infused strawberry jalapeño tequila with lime, agave, and salt. 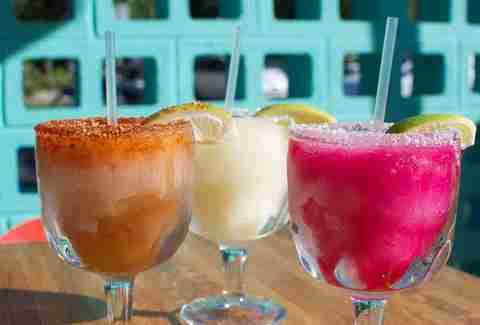 This Mexican restaurant on Rainey St features a great selection of tequila and mezcal, and it also has margaritas. Go figure. Its bestselling is the Mezcaliña, made with Agave de Cortes Silver mezcal, muddled serranos, basil agave nectar, lime juice, and pineapple juice. 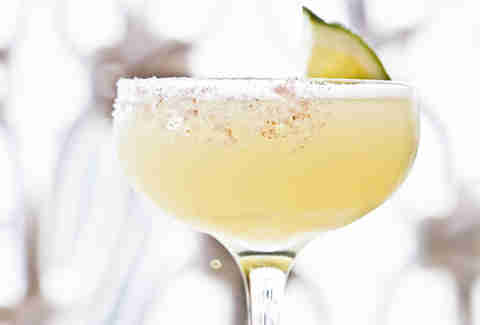 The W recently updated its Living Room bar menu with a new and refreshing take on a margarita. Its version includes Casamigos Blanco tequila, crème de violette, agave, lime, and grapes. Don’t miss it during Primetime Happy Hour, which take places seven days a week from 7-10pm. Although Jacoby’s is known for its high-quality cuts of meat and Southern hospitality, its cocktail menu is on point. 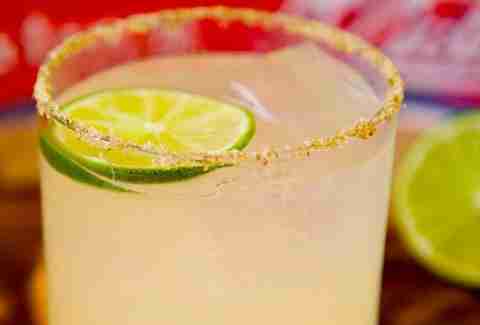 The Mezcal Margarita is a smoky version of a classic ‘rita that comes rimmed with tangy Trechas. The Margarita Chilanga is a local favorite for a reason. 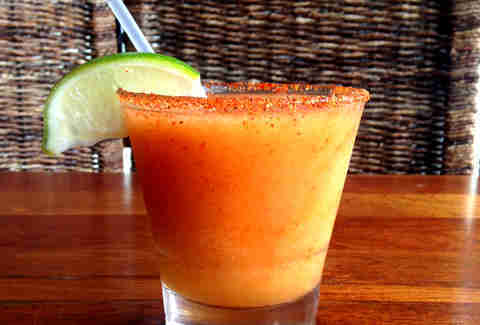 It is a slushy, ice-cold frozen margarita infused with a spicy chili powder mix and fresh-squeezed orange and lime juice and served with an El Chile rim. 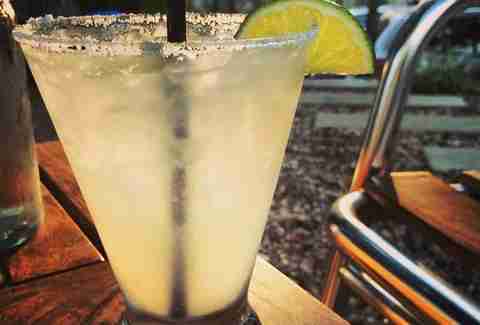 Pro tip: The Margarita Chilanga is only $7 during happy hour, every day from 3-6pm. The quiet coffee shop by day just happens to be a solid drinks destination by 5pm. Try its jalapeño-infused margarita, made with 100% agave tequila, Paula’s Texas Orange liqueur, fresh lime juice, and agave nectar -- its spicy kick will wake you up.